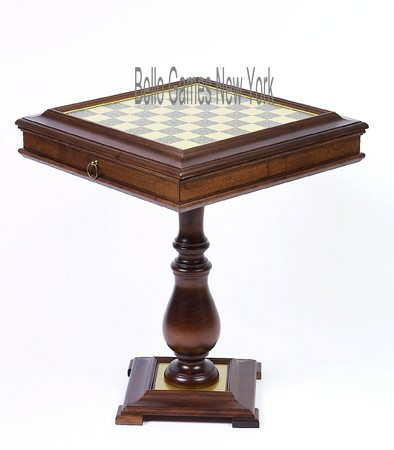 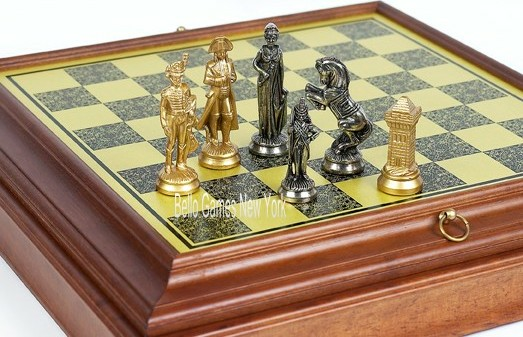 Venezia Chess/Checkers Table from Italy Venezia Game Center Table from Italy  - $795.00 : Bello Games New York, INC. 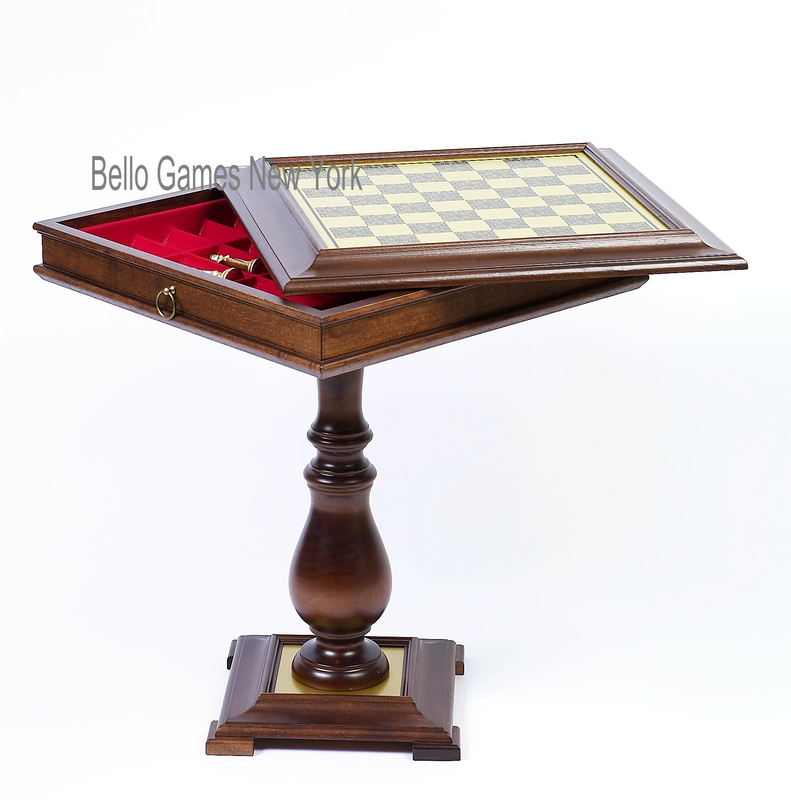 The table is antique finished worm wood and solid brass. 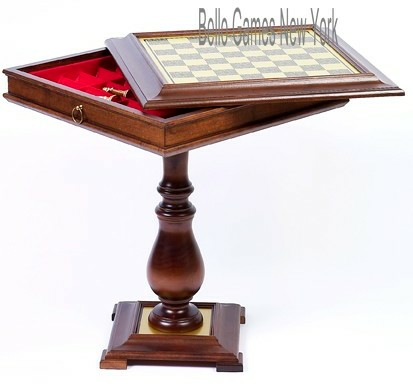 Chess table is hand made in Italy by master craftsmen. 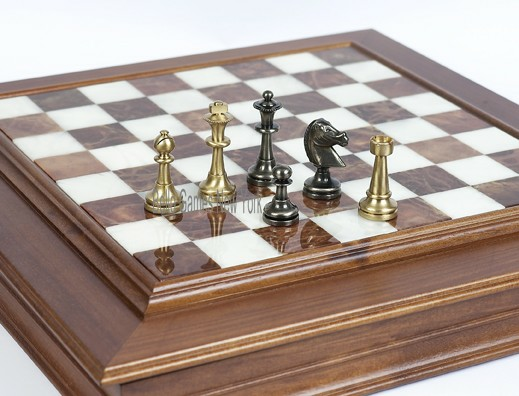 Underneath the chess/checkers board is a fitted storage compartment for the chessmen. 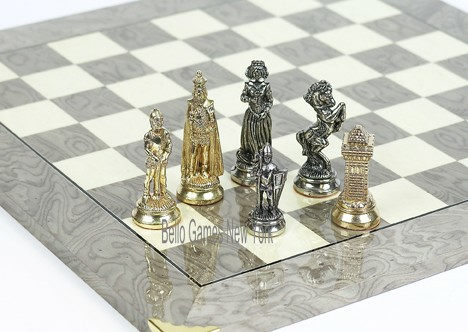 • Size of squares: 1 1/4". • Height: 24 1/4" Width: 20". 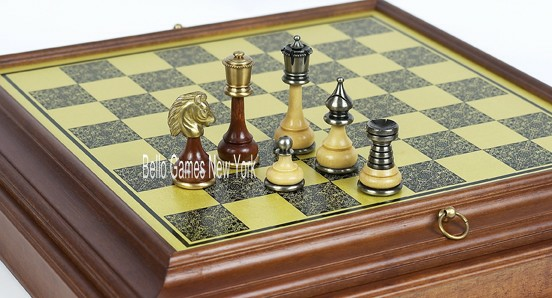 • Game pieces are not included.